This restaurant is famous on 2 things: the daughter of the owner is married to a very prominent Taiwanese politician, and they served very good Shanghainese food. To be fair, they were famous for their Shanghainese cuisine before the matchmade in heaven. The daughter is a beauty and the lucky man is from a prominent family that is equivalent to the Kenndedys of Taiwan (matriarch is a beauty queen, patriarch was VP and nearly became P). OK, enough of envy on my part, on with the food. Must try – Szechuan-style Stinky Toufu (***). When it was served the next table has to turn around and look – yes, it stinked but it TASTE GOOD! The tooufu has been deep-fried and then stir-fried in liberal amount of pepper and chilli, just liek Kungpao Chicken. 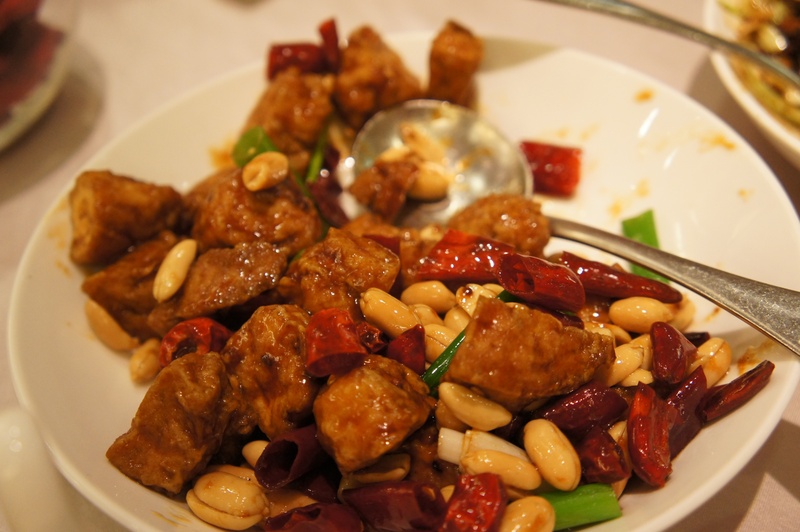 If you like Kungpao, you will like this. 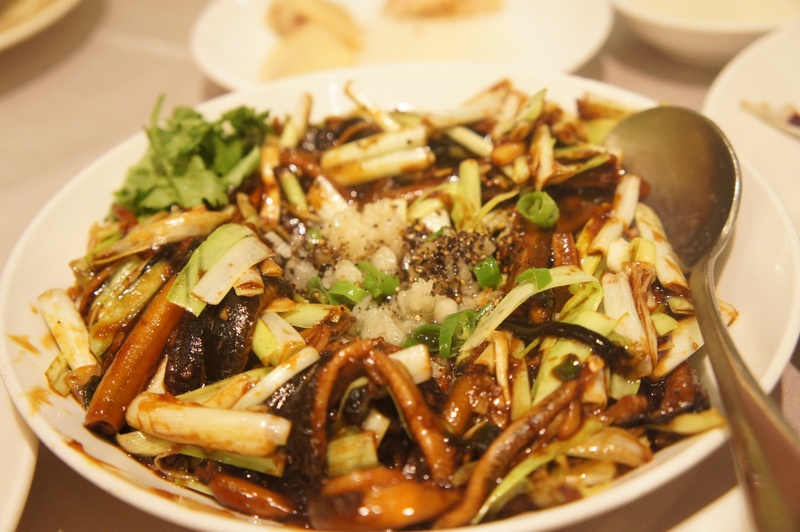 Stir-fired eel with Chinese chives (***) was a classic dish that has been murdered back in Shanghai with sauces that are too sweet and eel that are bred on steriod. The one here has the right sized eel (no thicker than a finger) with a savoury sauce. Add in the chives and perfect timing, you get a really yummy eel dish. A simple dish that is often not done well is Stir-fried Shrimp. Sound simple, but the work in preparation is remendous. First, you need equal size shrimp that are hand-picked off their entrails and cleaned thoroughly. Next, you need the right amount of oil and condiments to stir-fry the shrimp in rapid fire. 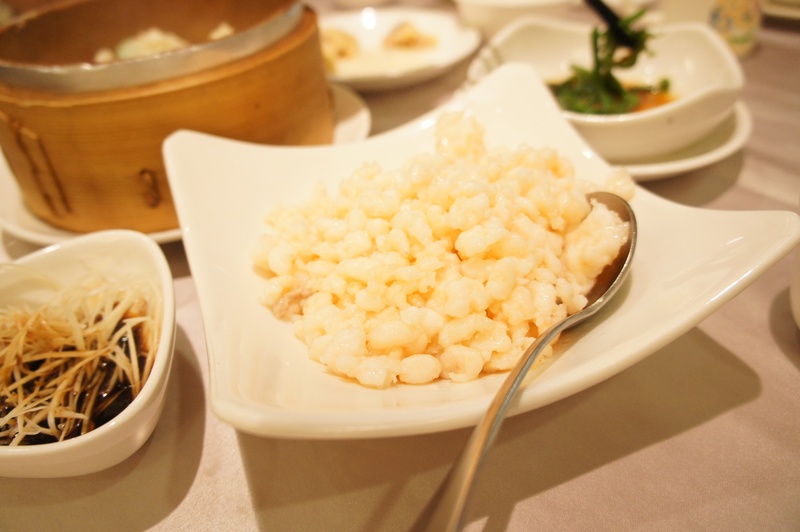 Each shrimp must be properly cooked (white, not red), and coated with the same amount of sauce. And the sauce cannot add color on the shrimp. Eat with a dash of Zhejiang vinegar. Any trace of black or non-shrimp color, the dish is ruined. They have branches all over Taipei, and the standard is maintained in every one of the branchers. So go check it out.